Hill will be performing Miseducation in full, and each stop on the tour will feature “special guest performers” that haven’t been named yet. Plus, a portion of ticket sales will be donated to Hill’s MLH Foundation, which backs a huge group of charities built to help people all over the world—including the Africa Philanthropic Foundation, Appetite For Change, Appes & Girls, and the Equal Justice Initiative. Hill said in a statement, “This album chronicled an intimate piece of my young existence. It was the summation of most, if not all, of my most hopeful and positive emotions experienced to that date. I Loved and believed deeply in my community’s ability to both Love and heal itself provided it received the right amount of support and encouragement. Our world today, both complex and changing, is in need of the balance between moral fortitude and cathartic expression. I hope the Love and energy that permeated this work can continue to inspire change with Love and optimism at the helm.” The singer delivered a rousing rendition of the late Nina Simone’s “Feeling Good” at the Rock and Roll Hall of Fame induction ceremony in Cleveland in April.. The Miseducation of Lauryn Hill was a critical and commercial success right out of the gate. It topped the Billboard charts, went platinum eight times in the U.S., garnered 10 Grammy nominations, and took home five Grammy Awards... Recorded mostly in Kingston, Jamaica, the album’s mix of hip-hop and neo-soul was inspired by Hill’s pregnancy at the time. On songs like “Ex-Factor,” “Everything Is Everything,” and “Doo Wop (That Thing),” Hill sang about daily struggles with warmth and grace. It hasn’t aged a day since its release. 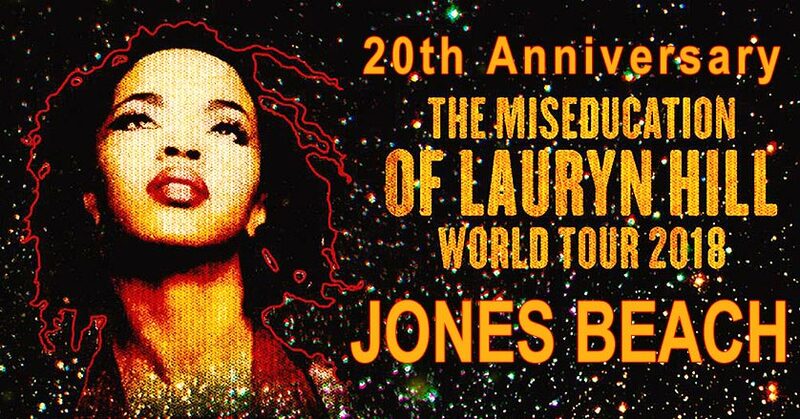 Lauryn Noelle Hill (born May 26, 1975) is an American singer, songwriter, rapper, record producer, and actress. She is known for being a member of the Fugees and for her critically acclaimed solo album The Miseducation of Lauryn Hill, which won numerous awards and broke several sales records.